Hi there! Did you enjoy our discussion about what it means to live an empowered life as a woman today? Well, continuing with the empowerment theme of the month, we’re back again today with another installment in our Empowered Entrepreneur interview series. If you didn’t catch our first interview with Ashley Longshore, you can check it out here. 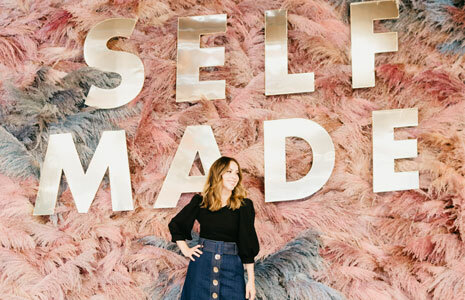 And today we’re so thrilled to introduce you to Jaclyn Johnson, who is the founder of Create & Cultivate. 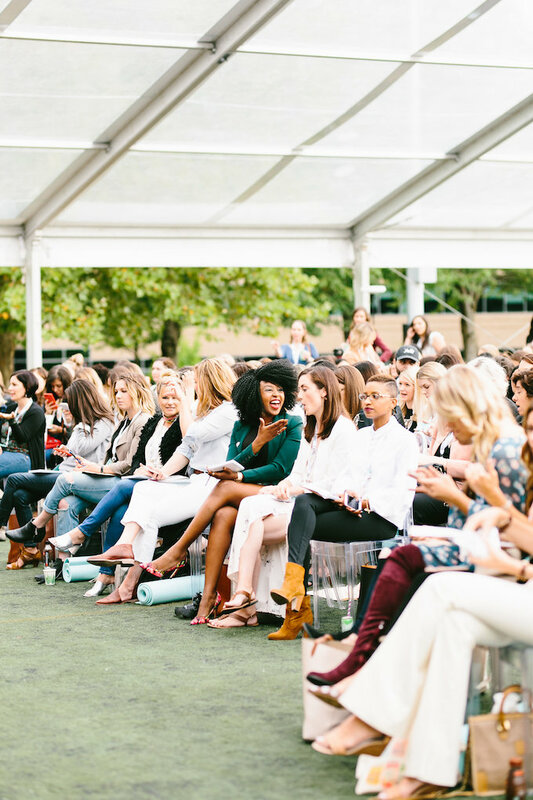 If you are unfamiliar with Create & Cultivate, it is an online platform and offline conference for women looking to create and cultivate the career of their dreams. Indeed, it is the resource for creative entrepreneurs. 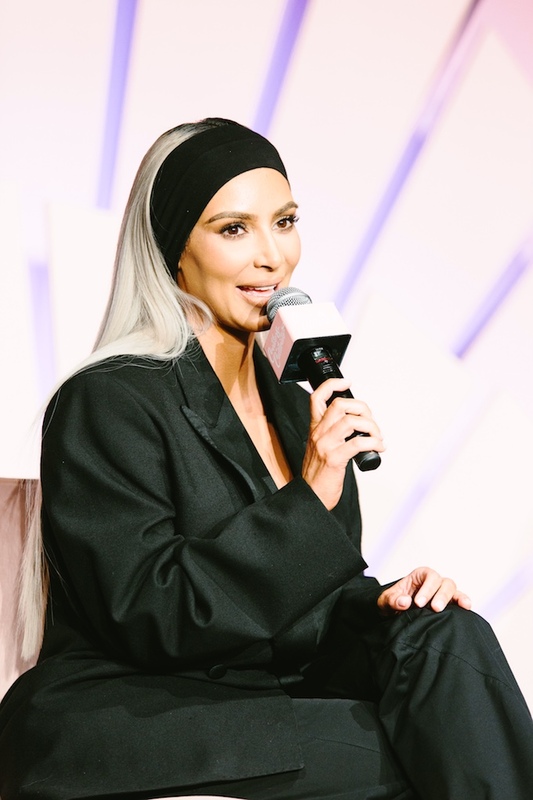 Kim Kardashian (among other big names) has been a keynote speaker at the conference, too. NBD. You can get lost scrolling through their past conferences and blog posts and, as of most recently they have launched a podcast! 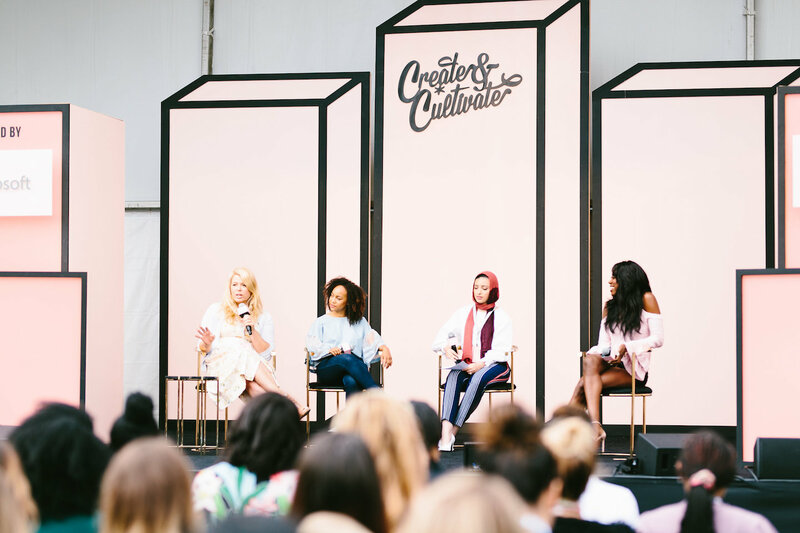 You might recall that I spoke at the Create & Cultivate Style Summit here in Houston not too long ago. Well, that was the first time I met Jaclyn in person, and I have to say that I was blown away by her! She is so down-to-earth and approachable. She is such a connector of people, always aiming to help women live their best professional lives. What started as freelance work turned into creating something that creative business women didn’t know they needed, and now don’t know what they’d do without! 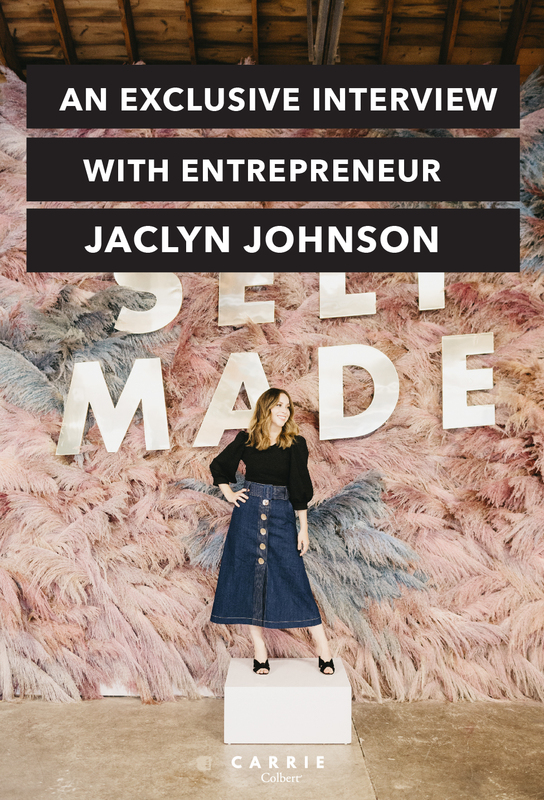 Along with being the founder and CEO of Create & Cultivate, Jaclyn has also written a book, Work Party, and been named one of Forbes 30 Under 30. Yep, did we mention how young she is?! Like we said, she’s inspiring. Now, keep on reading for an interview that will inspire, educate, and motivate you! When we think of empowered entrepreneurs who are inspiring and hard-working, you are at top of mind. When you were growing up did you always know you wanted to run your own business? If not, was there a light bulb moment when you decided you were going to make it happen? I definitely didn’t think I would be an entrepreneur, I was on the corporate track and thought I would be there forever, but the universe had different plans! It was only after getting transferred cross country and then abruptly let go that my entrepreneurial story started. I started looking for freelance work, one gig turned into many and soon enough I was bringing on employees; no business plan and no strategy and from there I just said yes and figured it out. You and your brand are truly so inspiring. What do you attribute your success to? Hard work and being a pleasure to work with. I always say you might not be the cheapest, you might not be the most qualified, but if people like working with you they will keep working with you. I work at 150% at all times and if things get complicated I am fair and decisive and try to do what’s best for everyone. It seems like common sense, but you would be surprised! 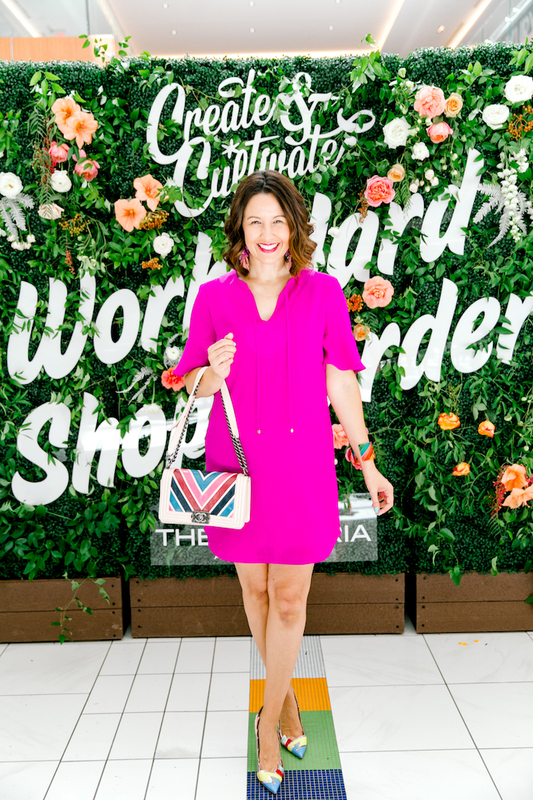 Create & Cultivate has become a huge resource for creative entrepreneurs. From the conference to the blog to the website – how did it all happen? What was first and how did the evolution take place? C&C was born out of my experience as a female entrepreneur. 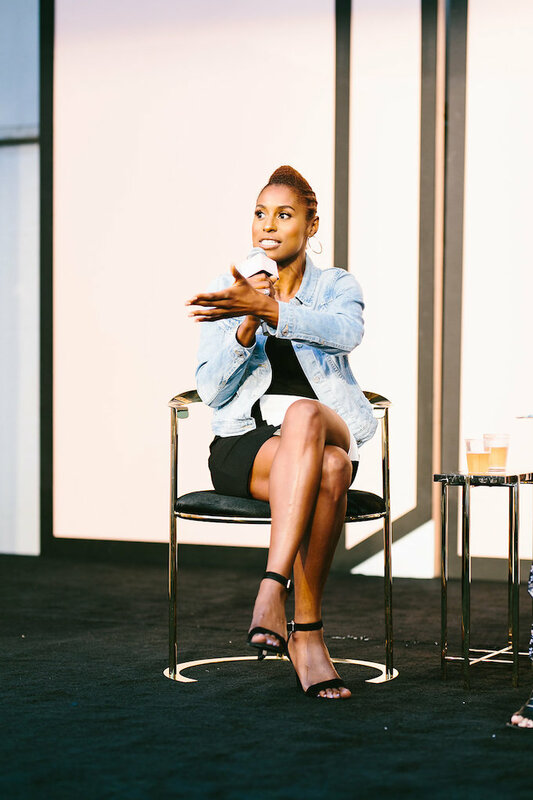 I was struggling, lonely and needed answers and when I googled for them I realized there was nothing that looked, felt or spoke to me as a young female founder. So, I decided to create it. It started as a complete side project. 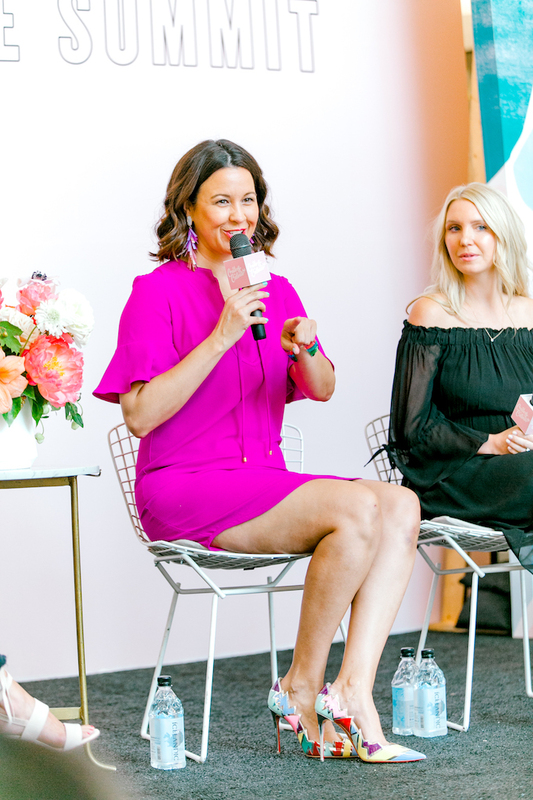 I wanted to connect with female founders, entrepreneurs and creatives and swap secrets and share advice. The first C&C was just 50 women in Palm Springs and it grew from there. It wasn’t a business at first. It only became a business when I started taking it seriously and treating it like a business. You always have big names headlining your events and on your website. How have you cultivated these relationships through networking? Any specific tips on networking? Yes – follow up, follow up, follow up. It’s been crucial to my success. Further, I would say keep your ask simple and straightforward and show the value you can provide them. Do your research and find the right people to get the ask to and go from there. In working with creative entrepreneurs what are the common threads you’ve seen through successful brands and people? The most successful women and creatives I know do the following (1) lead with kindness (2) work ALL. THE. TIME. (3) care about the work they are doing (4) know their worth and aren’t afraid to go for what they want. I love my job! I love everything from thinking through our Instagram posts, finding speakers, working with our brand partners and constantly re-imaging how we can provide value to our community. It’s a 24/7 job and it’s not always easy, but it’s extremely rewarding. The most challenging piece is unplugging and letting go. It’s very difficult when it’s your business and your name. In a day and age of instant gratification, the Internet being at our finger tips, and social media taking over, how would you say social media specifically has affected your business? We know you use it in a large way and we love how engaged your followers are. We’d love to hear more about that strategy and the effect it’s had on your business. Social media has been huge for our business; specifically, Instagram. I really looked at the conference world and realized what was typical of events was an onslaught of content during the event and then radio silence after. I didn’t understand that. I wanted to create a 365 day a year dialogue for women to have a conversation about what it’s like to be a millennial working woman. Those conversations would be amplified at the live events, but would continue on after. So many young women out there look up to you and are in awe of what you’ve created – what advice would you give to those young women looking to run their own business one day? I would say to go for it and be prepared to succeed and be prepared to fail. Be prepared for the best and most rewarding days of your life and some of the most soul crushing and emotional wrenching. Know that it gets better and easier with time and you get better and wiser with time, and every road block, hiccup or issue you face is a teachable moment you will look back on. Practical, but get it in writing! It is a hugely valuable lesson I learned the hard way. I will constantly be telling myself ‘you got this’ and ‘it will all get done’ day in and day out. Mantras are huge! When you are the boss you have to be your biggest fan and your toughest critic, this will help you push you through and will make you better. I also love podcasts and being inspired by other women. We recently launched our podcast, workparty, which is essentially one hour of inspiration and real talk advice a week. For those of us with a commute, podcasts are a must! And we know the importance of a valuable morning routine in order to set yourself and your day up for success – what does a typical morning look like for you? I typically get up at 6:30 and get out the door by 7 arriving at the office at 7:30 which gives me an hour and half of free time to get ahead of the game. Typically. I wrap work at 6 or 7 and head home to hang with the hubs. I am old school and stick to my notebook! A combination of Dropbox, Google calendar and good old fashion pen and paper keep me organized and on task. 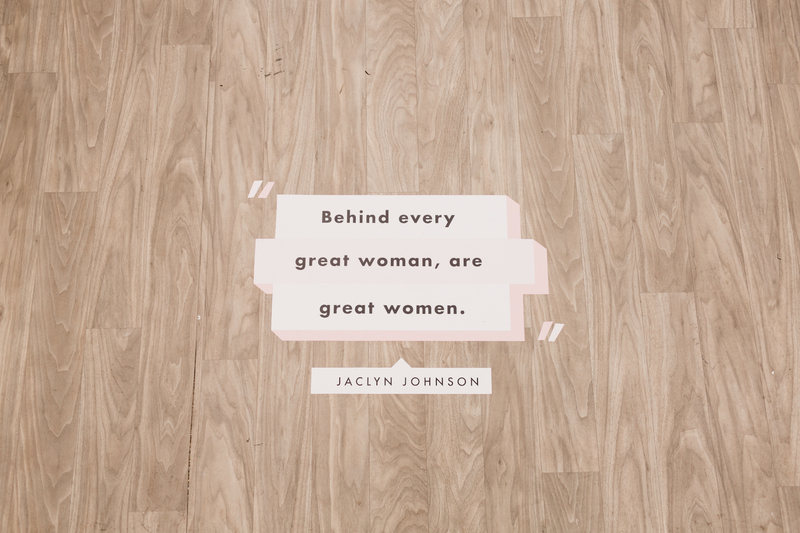 Thank you so much to Jaclyn for being part of our series! She’s so wonderful as you can all likely see from this interview. We hope you enjoyed reading this interview! What was your favorite takeaway from it? We’d love to hear in the comments below. We have an fun summer weekend look for you. This J.Crew off the shoulder silk madras plaid dress epitomizes summer! Manor Launch Party + a Giveaway!